If YouTube-Ripping Sites Are Illegal, What About Tools That Do a Similar Job? In 2016, the International Federation of the Phonographic Industry published research which claimed that half of 16 to 24-year-olds use stream-ripping tools to copy music from sites like YouTube. 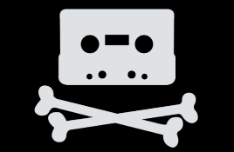 While this might not have surprised those who regularly participate in the activity, IFPI said that volumes had become so vast that stream-ripping had overtaken pirate site music downloads. That was a big statement. Probably not coincidentally, just two weeks later IFPI, RIAA, and BPI announced legal action against the world’s largest YouTube ripping site, YouTube-MP3. “YTMP3 rapidly and seamlessly removes the audio tracks contained in videos streamed from YouTube that YTMP3’s users access, converts those audio tracks to an MP3 format, copies and stores them on YTMP3’s servers, and then distributes copies of the MP3 audio files from its servers to its users in the United States, enabling its users to download those MP3 files to their computers, tablets, or smartphones,” the complaint read. The labels sued YouTube-MP3 for direct infringement, contributory infringement, vicarious infringement, inducing others to infringe, plus circumvention of technological measures on top. The case was big and one that would’ve been intriguing to watch play out in court, but that never happened. A year later in September 2017, YouTubeMP3 settled out of court. No details were made public but YouTube-MP3 apparently took all the blame and the court was asked to rule in favor of the labels on all counts. This certainly gave the impression that what YouTube-MP3 did was illegal and a strong message was sent out to other companies thinking of offering a similar service. However, other onlookers clearly saw the labels’ lawsuit as something to be studied and learned from. One of those was the operator of NotMP3downloader.com, a site that offers Free MP3 Recorder for YouTube, a tool offering similar functionality to YouTube-MP3 while supposedly avoiding the same legal pitfalls. Part of that involves audio being processed on the user’s machine – not by stream-ripping as such – but by stream-recording. A subtle difference perhaps, but the site’s operator thinks it’s important. “After examining the claims made by the copyright holders against youtube-mp3.org, we identified that the charges were based on the three main points. [None] of them are applicable to our product,” he told TF this week. The first point involves YouTube-MP3’s acts of conversion, storage and distribution of content it had previously culled from YouTube. Copies of unlicensed tracks were clearly held on its own servers, a potent direct infringement risk. “We don’t have any servers to download, convert or store a copyrighted or any other content from YouTube. Therefore, we do not violate any law or prohibition implied in this part,” NotMP3downloader’s operator explains. Then there’s the act of “stream-ripping” itself. While YouTube-MP3 downloaded digital content from YouTube using its own software, NotMP3downloader claims to do things differently. “Our software doesn’t download any streaming content directly, but only launches a web browser with the video specified by a user. The capturing happens from a local machine’s sound card and doesn’t deal with any content streamed through a network,” its operator notes. Like the Betamax video recorder before it that enabled recording from analog TV, NotMP3downloader enables a user to record a YouTube stream on their local machine. This, its makers claim, means the software is completely legal and defeats all the claims made by the labels in the YouTube-MP3 lawsuit. “What YouTube does is broadcasting content through the Internet. Thus, there is nothing wrong if users are allowed to watch such content later as they may want,” the NotMP3downloader team explain. While software that can record video and sounds locally are nothing new, the developments in the YouTube-MP3 case and this response from NotMP3downloader raises interesting questions. We put some of them to none other than former RIAA Executive Vice President, Neil Turkewitz, who now works as President of Turkewitz Consulting Group. Turkewitz stressed that he doesn’t speak for the industry as a whole or indeed the RIAA but it’s clear that his passion for protecting creators persists. He told us that in this instance, reliance on the Betamax decision is “misplaced”. “The content is different, the activity is different, and the function is different,” Turkewitz told TF. “The Sony decision must be understood in its context — the time shifting of audiovisual programming being broadcast from point to multipoint. The making available of content by a point-to-point interactive service like YouTube isn’t broadcasting — or at a minimum, is not a form of broadcasting akin to that considered by the Supreme Court in Sony. And there are other issues too. While YouTube itself is yet to take any legal action to deter users from downloading rather than merely streaming content, its terms of service are quite specific and seem to cover all eventualities. “[Y]ou agree not to access Content or any reason other than your personal, non-commercial use solely as intended through and permitted by the normal functionality of the Service, and solely for Streaming,” YouTube’s ToS reads. “‘Streaming’ means a contemporaneous digital transmission of the material by YouTube via the Internet to a user operated Internet enabled device in such a manner that the data is intended for real-time viewing and not intended to be downloaded (either permanently or temporarily), copied, stored, or redistributed by the user. In this respect, it seems that a user doing anything but real-time streaming of YouTube content is breaching YouTube’s terms of service. The big question then, of course, is whether providing a tool specifically for that purpose represents an infringement of copyright. The people behind Free MP3 Recorder believe that the “scope of application depends entirely on the end users’ intentions” which seems like a fair argument at first view. But, as usual, copyright law is incredibly complex and there are plenty of opposing views. We asked the BPI, which took action against YouTubeMP3, for its take on this type of tool. The official response was “No comment” which doesn’t really clarify the position, at least for now. Needless to say, the Betamax decision – relevant or not – doesn’t apply in the UK. But that only adds more parameters into the mix – and perhaps more opportunities for lawyers to make money arguing for and against tools like this in the future. While doing business with clients and suppliers is the usual day-to-day routine for most businesses, companies in the entertainment sector seem keener than most to spend time with those in power. Whether there’s pressure to be applied in respect of upcoming changes in policy or long-term plans for modifying legislation, at least a few times a year news breaks of rightsholders having private meetings with officials. Most of the time, however, the head-to-heads fly under the radar. This week, however, the UK government published a response to a Freedom of Information Request which asked for details of meetings between the government and copyright owner organizations, enforcement organizations, and collection societies (think BPI, MPA, FACT, Publishers Association, PRS, etc) including times, dates and topics discussed. Given the amount of data published, this isn’t a surprise. Even though the government chose to limit the response to events held between January 16, 2017 and April 17, 2017, the meetings between the government and the above groups number in their dozens. January 2017 got off to a pretty slow start but week three and beyond saw a flurry of meetings with groups and companies such as ITV, BBC, PRS for Music, Copyright Licensing Agency and several other organizations to discuss the EU’s Digital Single Market proposals. On January 18, 2017 Time Warner had a meeting to discuss content protection and analytics, followed a day later by the Premier League who were booked in to discuss “illicit streaming devices” (a topic mirrored in March during a meeting with the Audiovisual Anti-Piracy Alliance). Just a few days later the Police Intellectual Property Crime Unit held a “Partnership Working Group Meeting involving industry” and two days after that the police, Trading Standards, and the EU Police Agency convened to discuss enforcement activity. January 26, 2017 saw an IP Outreach Workshop involving members of the IP Crime Group. This was potentially a big meeting. The IPCG consists of several regional police forces, PIPCU, National Crime Agency, Crown Prosecution Service, Department of Culture, Media and Sport, Trading Standards, HMRC, IFPI, BPI, FACT, Sky TV, PRS, FAST and the Publishers Association, to name just a few. As the first month of the year was drawing to a close, Amazon met with the government to discuss “current procedures for removing copyright, design and trademark infringing material from their platform.” A similar meeting was held with eBay on February 1 and on February 20, Facebook had its turn on the same topic. All three companies had come in for criticism from copyright holders for not doing enough to stem the tide of infringing content available on their platforms, particularly so-called Kodi boxes that provide access to movies, shows, and live TV. However, in the months that followed they each responded positively, with eBay, Amazon and Facebook announcing restrictions on devices sold. While all three platforms still have a problem with infringing device sales, the situation appears to have improved since last year. On the final day of January 2017, the MPAA attended a meeting to discuss the looming Digital Economy Bill and digital TV piracy. A couple of days later they were back again for a “business awareness seminar” with other big shots including the Alliance for IP, the Anti-Counterfeiting Group, Trading Standards and the Premier League. However, given the dozens that took place, perhaps one of the more interesting meetings in terms of the mix of those in attendance took place February 7. Titled “Organized Crime Task Force Meeting – Belfast” it was attended by the Police Service of Northern Ireland, the National Crime Agency, Trading Standards, HM Revenue and Customs, the Border Force, and (spot the odd one out) the Federation Against Copyright Theft. This seems to suggest that FACT (a private company) is effectively embedded at the highest level of law enforcement, something that has made people very uncomfortable in the past. Later in February, there was a roundtable meeting with the Alliance for IP, MPAA, Publishers’ Association, BPI, Premier League and Federation Against Copyright Theft (again) to discuss Brexit, the Digital Single Market, IP enforcement and industrial strategy. A similar meeting was held in March which was attended by UK Music, BPI, PRS, Featured Artists Coalition, and many more. The full list of meetings, which number in their dozens for just a three-month period, can be found here pdf. Whether the volume is representative of other three-month periods isn’t clear but it seems reasonable to conclude that copyright organizations have the ears of government officials in the UK on an almost continual basis. When it comes to providing digital online audio content, TuneIn is one of the world’s giants. Whether music, news, sport or just chat, TuneIn provides more than 120,000 radio stations and five million podcasts to 75,000,000 global users, both for free and via a premium tier service. Accessible from devices including cellphones, tablets, smart TVs, digital receivers, games consoles and even cars, TuneIn reaches more than 230 countries and territories worldwide. One, however, is about to cause the company a headache. According to a report from Music Business Worldwide (MBW), Sony Music Entertainment and Warner Music Group are suing TuneIn over unlicensed streams. MBW sources say that the record labels filed proceedings in the UK High Court last week, claiming that TuneIn committed copyright infringement on at least 800 music streams accessible in the UK. While TuneIn does offer premium streams to customers, the service primarily acts as an index for radio streams hosted by their respective third-party creators. It describes itself as “an audio guide service” which indicates it does not directly provide the content listened to by its users. However, previous EU rulings (such as one related to The Pirate Bay) have determined that providing an index to content is tantamount to a communication to the public, which for unlicensed content would amount to infringement in the UK. While it would be difficult to avoid responsibility, TuneIn states on its website that it makes no claim that its service is legal in any other country than the United States. “Those who choose to access or use the Service from locations outside the United States of America do so on their own initiative and are responsible for compliance with local laws, if and to the extent local laws are applicable,” the company writes. All that being said, the specific details of the Sony/Warner complaint are not yet publicly available so the precise nature of the High Court action is yet to be determined. TorrentFreak contacted the BPI, the industry body that represents both Sony and Warner in the UK, for comment on the lawsuit. A spokesperson informed us that they are not directly involved in the action. We also contacted both the IFPI and San Francisco-based TuneIn for further comment but at the time of publication, we were yet to hear back from either. TuneIn reportedly has until the end of November to file a defense.